The invitations to any party are very important. This is one of the first things you should do when planning your child’s big day. So here are some great top tips for how to go about your invites. This is perhaps the perfect time to point out that we have some great templates on this website for anyone that is stuck for ideas. 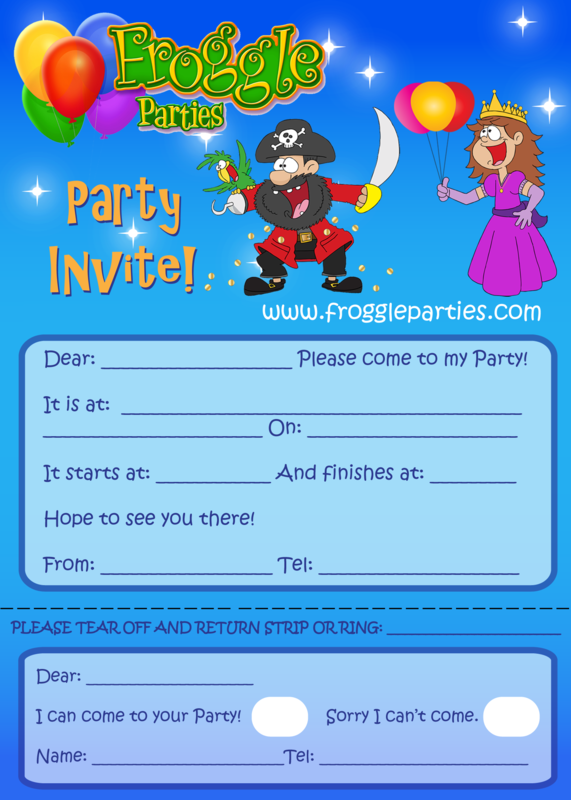 Take a look at the options on our party invites page and the chances are that you’ll be able to find invitations that match the theme of your party which you can then print off at home. Simply download and print off as many as you like for free. It’s important that you give your guests plenty of time to respond to your invites and so you need to get them out in good time before the event. Depending on when your party is, (busy times such as bank holidays and Christmas may need longer) about a month before the occasion is probably best. This should give most people enough time to reply and will also mean the date is firmly in their diary should anything else come up. 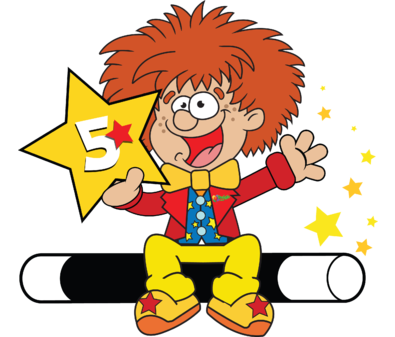 Although it’s exciting for a child to receive an invitation to their friend’s party, children can often forget to pass these onto their parents. You may therefore want to hand the invitations directly to the relevant adults so that you get a swift RSVP. Alternatively you could get your child to hand them out to their friends but do then check with the parents of the children, that they know about it, in case the invite never made it home. Another option is ask the teacher of your child’s class to put them in the children’s book bags. 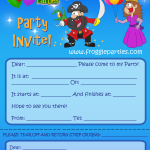 If you would prefer to create your own invites rather than use the ones on our Froggle parties website, then why not have a craft day in order to do this. 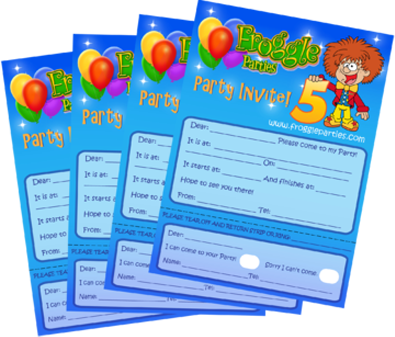 Set out everything you need to make your child’s own invitations and then work on them together. Kids find this very exciting. This way they can have a bigger say in their party and they can show off their arts and craft skills to all their friends. When inviting children to the party, it’s often hard to know who should get an invite. The amount of guests that can come will obviously depend on the size of the venue and the budget you have for the party, but where possible it’s a good idea to not leave anyone out and simply invite the whole class at school. If you don’t then some children (and parents) are bound to get upset. Some schools actually ask that you do invite the whole class if you are giving out invites on the school grounds, so it’s an idea to check what the school policy is with this. Before you send out the invites check that all the information on them is correct. This sounds obvious, but the last thing you want is for people to show up an hour early because you put the wrong time on the invites. Make sure you have included the address of the venue, what time the party starts and finishes, what day and date it is on and whether there is any specific dress code in line with your party theme. You may also want to add that parents are welcome to stay for the duration of the party if you decide you are happy for them to do so. 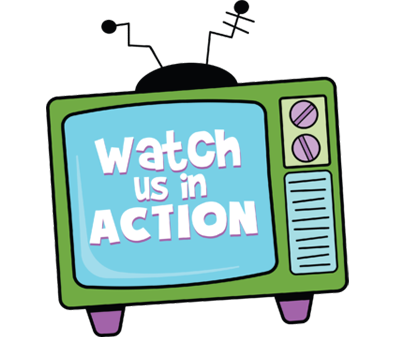 We’d actually suggest they don’t stay (if the children are old enough) because the background noise made by parents charting can actually mean kids can’t hear the entertainer as well and it has an adverse effect on the children’s party. Of course it’s understandable that you may want parents to stay but we’d suggest that if they do, you have a separate room for them to be in. 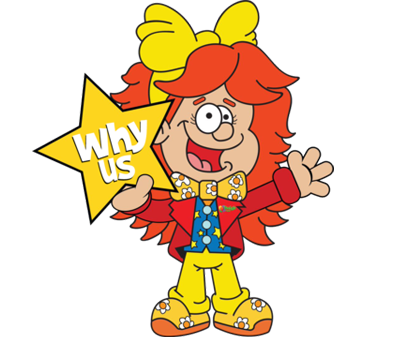 If you would like to book a children’s entertainer for your party or find out more information about the party services we offer, then please get in touch via our contact page.